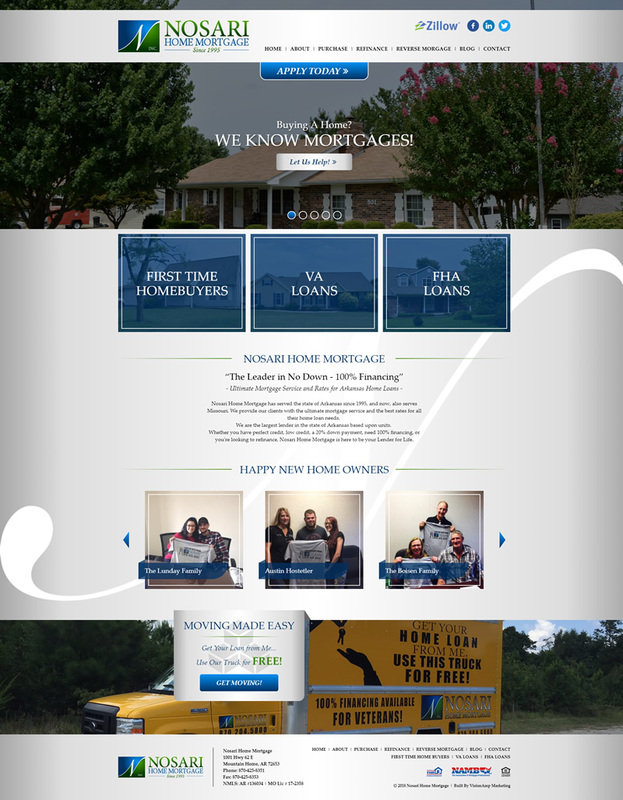 VisionAmp worked with the team at Nosari Home Mortgage to create an updated and more user-friendly website. The new mobile and responsive website makes it easier than ever to find and request information about purchasing, refinancing, and overall information about reverse mortgages. Large call-to-action buttons can be found on the homepage and allow visitors to the site to quickly access information about the company’s most popular loans with just one click. Nosari Home Mortgage has served the state of Arkansas since 1995 and is the largest lender in the state based upon units. Nosari Home Mortgage is now licensed in Missouri, and we are able to provide the best rates and most mortgage programs to our neighbors in Missouri.